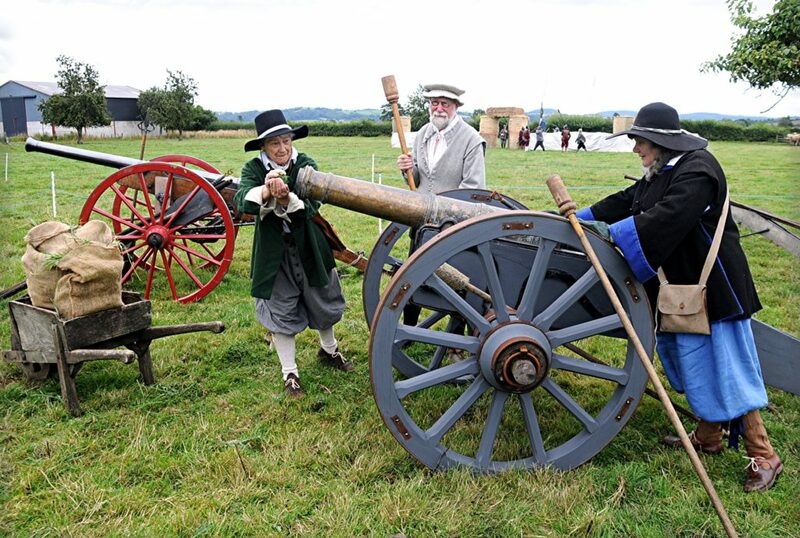 On Saturday and Sunday 10th and 11th of August 2019 the English Civil War Society will again return to Brampton Bryan to commemorate the two sieges of Brampton Bryan Castle that took place during the English Civil War.This year is the 375th anniversary of the second climactic siege, and the programme has been expanded to include additional elements such as the famous heroic ‘sally’ in which the vastly outnumbered parliamentary forces left the castle under cover of smoke and darkness and succeeded in utterly destroying the Royalist powder stores. In addition to two full sieges of the replica castle during each day, there will also be a full Living History Village with the chance to see the reality of life in mid-17th century Britain. Battlefield historian Martin Hackett (author of Lost Battlefields of Britain and Lost Battlefields of Wales) will also be on hand to talk about the realities of the sieges, as well as showing his detailed model of the siege and other local battles such as the ‘Battle of Mortimer’s Cross’.During the weekend renowned historian Adrian Durkin will be talking about the realities of seventeenth century warfare, and also showing his collection of original weapons, musket and cannon balls. Special talks for young people will be available throughout the weekend, and there will also be the opportunity for them to dress up as soldiers of the period and experience for themselves the reality of warfare at that period.